If you want to keep the bed bug infestation under control then you must find out how a bed bug bit actually looks like. The bed bugs are usually found in places like used furniture, used clothing, old mattresses and luggage racks. Many reckon that bed bug extermination is the best method to get rid of these but since some of the companies are actually inexperienced in eliminating bed bugs, they do not find them. So it becomes very important to know how a bed bug bite looks like. 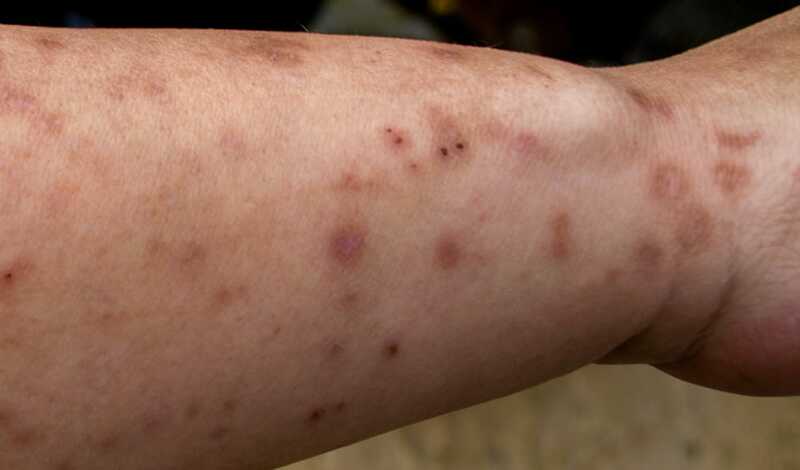 The bites of a bed bug usually look like raised bumps that are red in colour. To the human eye, it may look like a rash only. However, these are dependent on certain conditions like skin colour. Usually, it occurs in the back of a person and there are three bumps in a row. This is known as breakfast, lunch, dinner pattern. The bed bugs bite at one spot, crawl a little bit further, draws blood again and then crawls a little bit again. Three bites in a row are guaranteed bed bug bites. But these bites may also look like a localized rash and spread all over the body. Sometimes the doctors find it very difficult to recognize the bed bug rashes at once. experienced any reaction at all. The majority of the people suffer from a mild reaction. There is an interesting fact the reason for which has not been deciphered by scientists to date – people over 65 do not have any reaction to bed bug bites at all.